Pubs are the heart of our communities and going to the pub is a lifeline for lots of people throughout the country. In 1980 there were 69,000 pubs in the UK, however by July 2015 CAMRA highlighted in a report that there were less than 50,000 pubs left. This means that an average of 29 pubs a week, 1500 a year were closing. CAMRA launched an initiative in July last year to protect 3,000 pubs by the end of 2016 from demolition or change of use. CAMRA are calling on all members to nominate their local pub or pubs as an Asset of Community Value (ACV). Pubs can be demolished or converted without planning permission. If a pub is registered with ACV status they are given planning protection under laws introduced in April. This will give communities the power to stop developers from tearing the heart out of the community, the place where you will always find a friendly face, warm welcome and company. More than 1200 pubs have been listed as Assets of Community Value (ACV) due to the hard work CAMRA members have done nominating pubs. You can nominate as an unincorporated group of 21 local people, as a Parish Council or in connection with another local group including a CAMRA Branch. You can also nominate more than one pub in fact you could nominate all the pubs in your area this will protect them for future generations to enjoy, maintaining the heart of our communities. At the Great British Beer Festival trade event the Pubs Minister launched ‘Badge of Honour` for pubs in effort to curb closures. All pubs listed with ACV status will be sent a pack which will include stickers for their windows stating ‘This Pub Matters`. The ‘Badge of Honour` will be presented to the licensee. 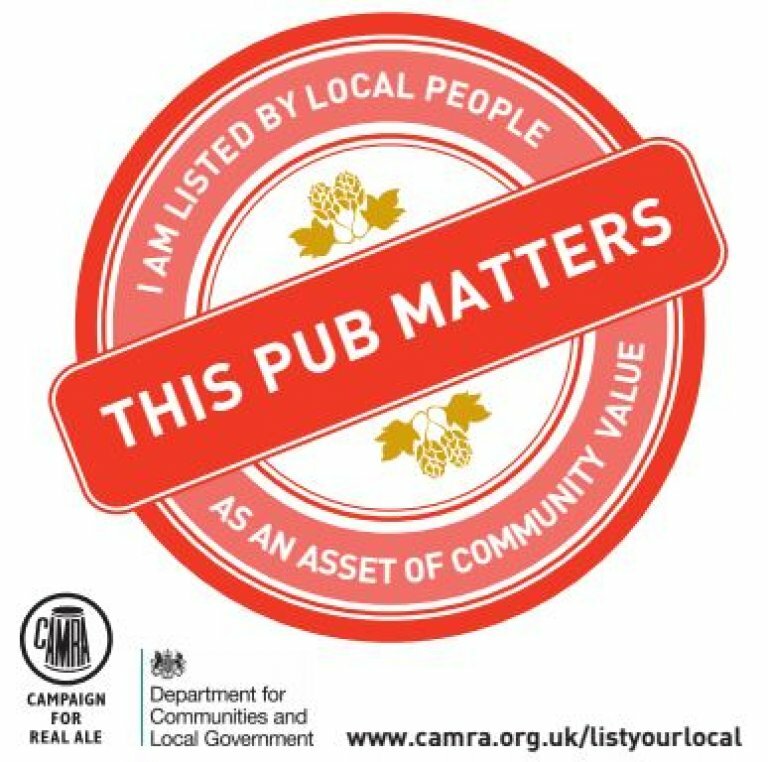 CAMRA and the Department for Communities & Local Government (DCLG) launched the joint initiative to protect England's most valued pubs – those listed as ‘Assets of Community Value'. Having grown up in a very rural area with my nearest pub some 2 miles away I can very much appreciate that to lose our pubs will create a very lonely existence for a lot of the residence of Cornwall. Great British brewing is booming in the UK and without your local you will not be able to sample the fruits of the brewers. Round up your community, pub regulars and councillors to get behind the campaign and protect your PUB.